I joined Google the day after my Stanford graduation in June of 2011, and two days later got to take a peek at the product I would be working on for the next three months. There had been rumors in the press for a while that Google was building some sort of secret social network, but these stories were mostly unsubstantiated rumors. Now, for the first time, I got to look upon the future of the world’s most recognizable Internet company and, perhaps, the future of social as well. The product, internally known as Emerald Sea, was just two weeks from launch, and a digital counter near my desk was ticking down the days to June 28, 2011. I had just gotten my Google-issued laptop, so I opened up my web browser, and navigated to the internal version of the product, and …. stared. Just stared. It’s hard to exactly describe the state of the product at that point, but it was reminiscent of Facebook, albeit with a cleaner profile page and more whitespace. The news yesterday that Vic Gundotra, Google’s Senior Vice President of Social, is leaving comes as little surprise. I read about it on Facebook first, then on Twitter, then on Secret, and then on Google+, which perhaps says everything about the success of Google’s most recent foray into social. Google+’s moment may have passed, but the lessons to be learned will last a lifetime for me, and for the hundreds of others who played a role in building it. The vision for the product is clear, albeit complicated: create a social network for everyone that would simultaneously provide Google with enough data about each user to ensure its search engine could adapt to a more social world. These concerns were obviously external as well as internal to Google. It was clear that Facebook, with its ever-expanding social graph, was developing an extraordinary dataset that could undermine the supremacy of Google’s key search product. At the time, Google had a relationship with Twitter to access the social network’s firehose of data, but that agreement expired in mid-2011. Google needed a way to get social data, and fast. Earlier, Google had developed Buzz as the answer to this dilemma, but it failed to take off, and controversy over its leaking of private contacts killed any remaining hope that the product would receive wide consumer adoption. These fears manifested themselves in what would eventually be called Google+. The vision for the product is clear, albeit complicated: create a social network for everyone that would simultaneously provide Google with enough data about each user to ensure its search engine could adapt to a more social world. Despite cynicism from the press and industry analysts, this wasn’t entirely about revenues. Google’s search was the world leader because it always answered users’ queries with the best results. To continue to do so, the company had to learn more about the preferences of its users. Gundotra was charged with carrying out that task, and soon became the spiritual center of the product, a multifaceted leader who could be disarmingly positive in his interactions with colleagues. His constant enthusiasm, though, belied a very challenging set of fundamentals about the likelihood of the product’s success. The product that became Google+ developed over a lengthy gestation period. Key to its evolution was a model known as circles, which was popularized internally by Paul Adams and in a never published book called Social Circles. The idea as eventually implemented was simple: allow users to define how they relate to people by putting their contacts into different groups. That way, you could choose how you wanted your content to be shared, and complicate the limited sharing options offered by competitors like Facebook and Twitter. In many key ways, Google+ was ahead of its time. Its internal product focus was on choice and privacy, which Google felt was the competitive advantage needed to beat the incumbents. It was reaching out to a demographic of users who had been turned off by the news about personal information leaking on Facebook, yet who were still interested in engaging socially online. The product leadership correctly predicted the trend in social that has made 2014 a banner for ephemeral communication. Google needed data from its social network at the precise time there was a real strategic opportunity from a social network that saved no data. Snapchat, Whisper and Secret hit that moment right in the center. What few understood, though, is that Google itself was part of the problem. People’s fears about data collection by large Internet companies was already palpable in 2011, and would become widespread over the last year with the disclosures around the NSA leaks. Google needed data from its social network at the precise time there was a real strategic opportunity from a social network that saved no data. Snapchat, Whisper and Secret hit that moment right in the center. It completely eluded Google. The fight over real names, which was a constant area of discussion for the company during my time there, is a case in point. Google’s desire for privacy and choice was in direct contradiction to its need for real names to get the data it wanted. Google+ was not the only social network that required real names, but it was the hardest to avoid thanks to its integration across Google’s product portfolios. Frankly, the issue always got more publicity than it should have (really, there were so few people who actually cared about this issue based on user feedback), but it was a telling issue that Google just couldn’t think outside of its voracious appetite for data. Indeed, Google’s obsession with data was a clear problem in light of the need for a more holistic product management strategy, especially in social. This was evident in search, the area I worked on at Google. Traditionally, Google’s metrics are very clear about how search should perform – the page needs to load very quickly, and users should be clicking the early links on a page rather than links further down the page (i.e. link relevance is being sorted correctly). Yet, when applied to Google+ search, this model didn’t make a lot of sense. Engagement is the watchword of social networks, not speed of user departure. In product meetings outside of the immediate Google+ team, PMs didn’t just need the data to fight battles, but had to fight on the very mental model that people used to analyze products. That’s hard. That data centrism also played a role in the desirability of the circles model for Google+. There is a precision to Google+’s circles that simply doesn’t exist in our complicated social lives. We can’t just bucket our friends, because we don’t think of them in such a way. But the circles model made sense in a culture where data and algorithms reign supreme. Focus is absolutely everything. As soon as you have two goals, even one that is minor, you start heading toward the center of the convex set of solutions, and your product deeply suffers. Nowhere was this more obvious than in the constant request internally for adding logical operators to circles, so you could do AND, OR, and XOR operations on circles. This made sense if you had a Ph.D. in computer science, but it made far less sense for a product designed for everyday users. The product managers won that battle, but there shouldn’t have even been an argument. 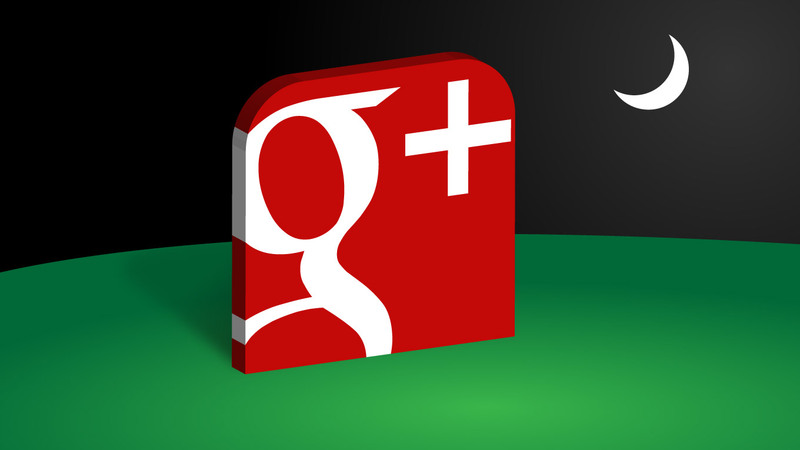 Google+ was also weighed down by its expected integration with every product at Google. It was literally everything to everyone. It was supposed to facilitate the future of chat (“Google Talk”) through Hangouts, be the glue for games across Android and the web, handle the future of news on Google News and Google Reader, and myriad other priorities, in addition to being the personal data layer across the company and a delightful social product to boot. One of the key lessons I learned from the experience that I have drilled into every founder I have worked with is that focus is absolutely everything. As soon as you have two goals, even one that is minor, you start heading toward the center of the convex set of solutions, and your product deeply suffers. Due to this integration, much of it forced, the culture around social at Google had become deeply poisonous by the time I had started. I still remember talking to a member of the Picasa team who told me to “f*** off” when I asked about integrating Google+ into the product. He was hardly the only one, as any number of company-wide emails from engineers could attest. Google may seem to be a placid company on the exterior, but it has an incredible amount of debate internally. The reality, though, is that the general cynicism added high levels of friction to a product launch that was already struggling to find traction. In many cases, it would take more than a year after the launch of Google+ to get anything done, and by then, it was too late. In part due to the secrecy of the project before launch, and in part because of this cynical attitude, the Google+ team had a phalanx of security surrounding its offices, and a strict “no entry” policy for the rest of Google’s employees. Indeed, a full week passed before new Google+ employees were granted access to their office, and interns learned all kinds of tricks for getting around the tailgating alarms, security guards, and cameras to allow us to do our work. Surprisingly, the exclusivity and otherness for the team was helpful, and arguably one of the few things the company got really right. The team needed that separation, to build a new product in a new environment. That experience was replicated as well at Google[x,] to better effect. I still remember talking to a member of the Picasa team who told me to “f*** off” when I asked about integrating Google+ into the product. This is just a smidgen of the context that confronted Gundotra. Back in 2011, it made no sense to me why the head of social for Google was formerly the chief developer evangelist for Microsoft’s various platforms. Getting developers to build apps on Google+ was certainly a key goal, but the everyday experience of using a social product was always going to be fundamental to its success. In retrospect, Gundotra was perhaps the precise person to fill the role. He was one of the few individuals that could get Google+ its breathing room, who could manage Larry Page and other key executives and buy time for the team to make the product what it needed to be. Page would end up moving his office away from the search team to Google+’s building, and would also mandate that company-wide bonuses would be based on Google+’s success. Gundotra’s experience navigating politics at Microsoft were deeply necessary, although unfortunately not sufficient. The challenges were not just cultural. Google is hardly an unknown entity to the world, and its product launches are often front-page news around the world. That tends to work fine for hardware devices like phones and Android, where a new version is merely an evolutionary improvement over a previous one. It is absolutely a trial by fire for a new product that has barely been tested outside of Google’s confines. Building a social product is a deeply organic process. It starts with a spark of imagination, but is refined through careful feedback in the early months of the product’s launch to adjust parameters and features. This process cannot be short-circuited, nor can it be emulated through a beta test. The best social products get it right fairly quickly, but they rarely get it right on the first day of launch. Thankfully, most social products are unknown at launch, so the founders have the time to tinker. Google+ never had such an opportunity. From the very first day of its public launch, millions of people signed up for the service, wanting entry into Google’s newest product. This was the benefit and curse of building a social product at Google: Everyone wants to use it, but you have no way of knowing whether they would stay after the initial excitement wore off. One failure came in those early weeks, when Google+ couldn’t handle the immense load placed on its servers and thus had to hold at bay millions of potential users. Robert Scoble, who quickly found himself among the most circled members of Google+, was regularly crashing Google’s servers because the calculations for counting second-degree friends was taking minutes per page due to his extensive graph. Furthermore, there was only a single data center devoted to Google+ data in the early days, and so the general speed of the site was far slower than users expect from a Google product. It certainly didn’t help that most of the code was written in Java, a language that even with libraries and an IDE is hard to use for rapid prototyping and iteration. Google+’s initial product was pretty dreadful, and it pales in comparison to the product that exists today. During the launch, everyone on the team was lucid about this, none more so than Vic, who consistently asked the entire team for patience in getting the product right. He never stopped his ceaseless march to get Google+ to where it needed to go, and the team made the adjustments and changes needed to make the product an engaging social experience within the next 12 months. By then, however, users had already made up their minds about the product, and they just weren’t going to come back, no matter how much the product had improved. In many ways, Google+ is eerily reminiscent of Healthcare.gov, where federal contracting rules would make it exceedingly difficult to add even the most basic of functionality to that site. Gundotra is certainly more tech-focused than Kathleen Sebelius, the former Health and Human Services Secretary, but both faced similar organizational hurdles. Sometimes, the goals, motivations, and culture are so diametrically incongruent with a new initiative, that success is really, truly, absolutely impossible. Google+ failed as a social network, to be sure. But the competitive threat of social and the resulting focus around Google+ finally forced the company to change its product culture, results that continue to benefit the company to this day. In looking back at my time at the company, I realize I have become more sanguine about Gundotra’s performance. He headed an initiative that was, from nearly every possible angle of analysis, truly professionally challenging. He was never the right person for the product, but then, no one could have been in a situation that required the focused mind of a startup founder with the political skills of a top corporate executive. Editor’s Note: Danny Crichton served as an Associate Product Manager Intern developing the search feature of Google+ between June and August of 2011.